23. Pro 1:23 - "Turn you at my reproof: behold, I will pour out my spirit unto you, I will make known my words unto you." A. Turn you at my reproof. i. 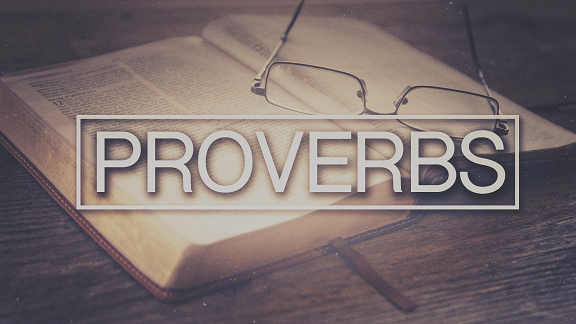 Wisdom gives the antidote to simplicity, scorning, and ignorance: turning from foolishness. ii. As was noted in the previous verse, the fools to whom wisdom cries are headed for destruction. a. Just as a car driving toward a cliff, their only option to spare themselves devastation is to turn. b. Turn v. - IV. To change or reverse course. 13. trans. To alter the course of; to cause to go another way; to divert, deflect. c.	Sin compounds the longer it's left unchecked (Rom 6:19; Jer 9:3; Isa 30:1). d.	The longer (Pro 1:22) they wait, the sharper the turn will have to be for disaster to be averted. iii. Turning is a synonym of repentance and conversion. a. Convert v. - II. To turn or change in character, nature, form, or function. 8. a. trans. To turn in mind, feeling, or conduct; to bring into another state (of mind, etc.). b.	Repent v. - 1. refl. To affect (oneself) with contrition or regret for something done, etc. 3. intr. To feel contrition, compunction, sorrow or regret for something one has done or left undone; to change one's mind with regard to past action or conduct through dissatisfaction with it or its results. c.	Therefore, the call of wisdom to "turn" is the selfsame call of the gospel to "repent and turn to God, and do works meet for repentance" (Act 26:20). iv. Scripture warns us to "exhort one another daily, while it is called To day; lest any of you be hardened through the deceitfulness of sin" (Heb 3:13). v.	More than once the Lord admonishes us of the urgent need to turn from our sins now (Heb 3:7-8, 15; Heb 4:7; 2Co 6:2). a. God gives a space of repentance (Rev 2:20-21), but when the space is exceeded punishment follows (Rev 2:22-23). b. God has a cup in which He measures our sin; and when it is full, judgment comes with a vengeance (Gen 15:16). c.	None of us know how full our cup is, so we better make haste and delay not to keep God's commandments (Psa 119:60). B.	I will pour out my spirit unto you, I will make known my words unto you. i. Wisdom's message doesn't stop with a call to repentance. ii. Attached to it is also a promise: I will pour out my spirit unto you, I will make known my words unto you. iii. Here is how a man knows that he has been filled with God's Spirit: when God's words are made known unto him. iv. We are filled with the Spirit when the word of Christ dwells in us richly (Eph 5:18-19 c/w Col 3:16). v.	When a wayward sinner hearkens to wisdom's cry and turns at her reproof, he will begin to be filled with God's Spirit and to understand the word of God. vi. When that man does God's will to the extent that he knows it, the Lord will make him to understand His doctrine (Joh 7:17). vii. The more of God's will he does, the more of it he will know, and on the process goes (Pro 4:18).